A fatal accident usually leaves surviving family members in severe emotional and financial distress. If you have lost a family member to an accident caused by another person’s intentional, reckless, or negligent conduct, it is a wrongful death. You may be entitled to compensation for the losses you have suffered. This can include compensation for mental anguish and lost companionship, as well as compensation for a lifetime of lost income and financial support that the deceased would have contributed to his or her spouse or children. While no amount of money can ever compensate you for your loss, making a claim is a way to obtain some measure of justice while helping to ensure that your family recovers from its loss financially. It is important to contact a wrongful death attorney as soon as possible, as strict time limits apply to making a claim. We offer free a free, no obligation consultation with a wrongful death attorney who will evaluate your case and determine if you have a claim. If we take your case, we will do so on a contingency fee basis so you pay nothing unless you win. 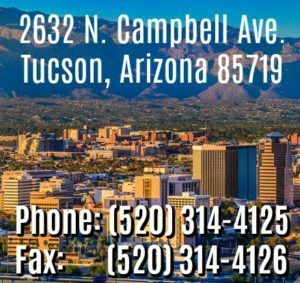 To schedule your free consultation, call our Tucson office at 520-314-4125 or contact us online.